After continued speculation and rumor, the first image of next years’ unmorphed Super Sentai team is now online! 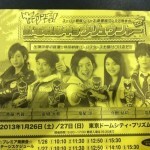 After continued speculation and rumor, the first image of next years' unmorphed Super Sentai team is now online! 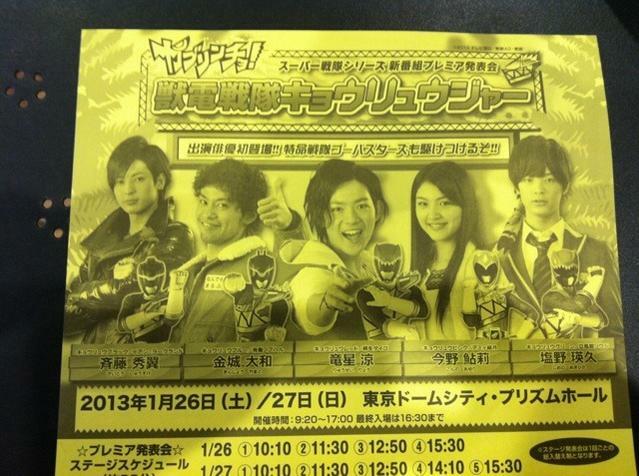 Stay tuned to this space for further details about the Kyoryuger Crew. Red looks super hyped about dinosaurs! The hypest, in fact. I knew it,blue looks badass.lol.The helmet mohawk never lies! ... Is that..the second one... Hey, it's Daggeron's long lost son! Hey now. I liked Daggeron. Anyone who voices Doggy in SPD can do no wrong in my book.